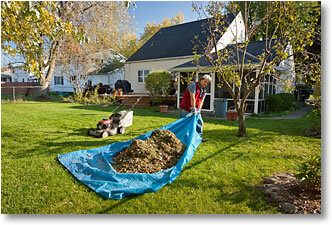 Each lawn or property is evenly mowed, trimmed, and cleaned of debris at each visit. We do our best to make sure your lawn stays properly maintained and fresh. 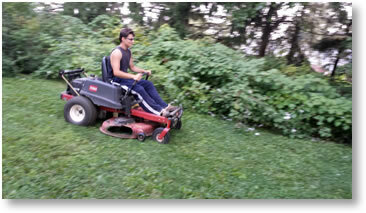 It is important to mow grass weekly at the correct height to maintain the best health of the lawn. The area designated for the installation is prepared and cleaned as need and edged as needed and mulch is than applied. Upon completion the area is cleaned for a finished look. We do our best to make sure your landscape will look perfect and fresh. We provide all supplies. 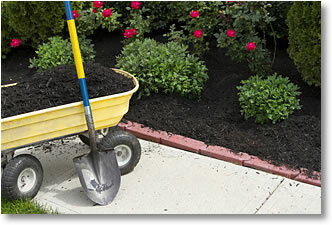 Mulching is a great way to increase curb appe al and provide a professionally manicured, clean appearance. Mulch suppresses weeds, retains moisture which benefits plants in the bed and keeps the soil cool. The died mulch that we provide are Colonial Black, Chocolate Brown, Country Red, and bark mulch which are Enhanced Triple, Premium Double, Premium Black and Playground. The plants designated for pruning are evenly trimmed and the clippings are than removed from the area. We will only prune low hanging branches on trees. We do our best to make sure your landscape will look perfect and fresh. 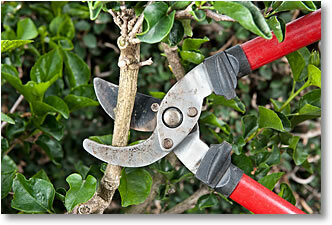 It is important to prune plants at least once a year to properly maintain them. Before Weed Maintenance This Service is offered exclusively to our lawn mowing clients and is the maintenance of weeds in the beds/landscaping. We do our best to make sure your landscape will look perfect and fresh. 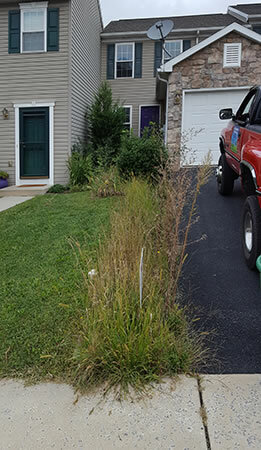 Weed maintenance will increase curb appeal and decrease chances of weeds spreading to the lawn. Aerating is a great way to increase the health of your lawn. Aerating is pulling core plugs from grass areas to reduce soil compaction thus allowing air, water, nutrients and other minerals to reach the grass roots easier. Reducing soil compaction also allows the grass roots to expand better. For the best results, overseed your lawn after aerating because soil will be exposed and soil to seed contact will be much higher allowing grass to germinate easier. Overseeding is seeding an existing lawn with the same grass seed allowing the lawn to remain thick or with different grass seed to change the way it looks. Lawns will thin out over time if not overseeded and may be susceptible to weeds. For the best results, overseed your lawn after aerating because soil will be exposed and soil to seed contact will be much higher allowing grass to germinate easier. 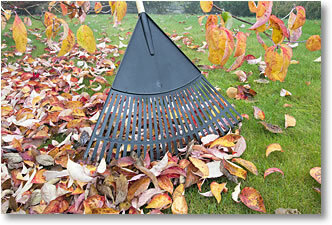 The property is cleaned of debris from the winter such as left over leaves, sticks, limbs, tree waste, etc. 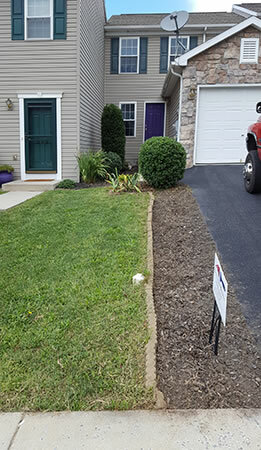 We do our best to make sure your property is ready for spring. Spring Cleanups must be done in order to begin mowing in the spring if the property has excessive debris from the winter. Spring cleanups also increase curb appeal. The property is cleaned of leaves and debris from trees. 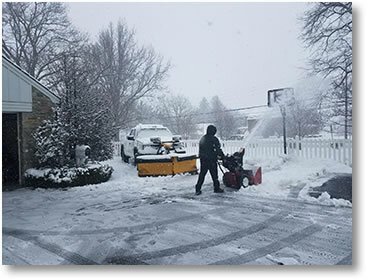 We do our best to make sure your property is ready for the winter. It is important to clean up leaves in the fall as snow will cover them over the winter causing the grass underneath to die creating bare patches in the spring. All perennial plants on the property are evenly pruned and the clippings are than removed from the area. We do our best to make sure your landscape will look perfect and fresh. Perennial pruning in the fall will increase curb appeal over the winter as there will be no dead foliage and aide in better regrowth in the spring. 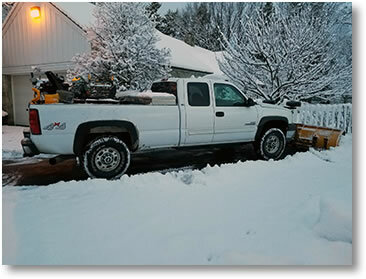 We offer fast and reliable snow and ice management services including snow clearing and salting. We do our best to clear the designated area.